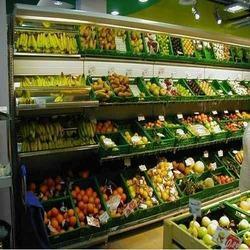 Manufacturer of a wide range of products which include fruits & vegetables display racks and fruit and vegetable racks. 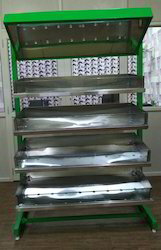 We are offering Fruits & Vegetables Display Racks to our clients. Manufactured using quality raw material, the Fruit and Vegetable Racks are a great way of storing the fruits & vegetables. These are available in different sizes and capacities, hence, find use in supermarkets and hypermarkets. Our product range of fruit and vegetable racks are appreciated by all our clients globally. Looking for Fruits & Vegetables Display Racks ?